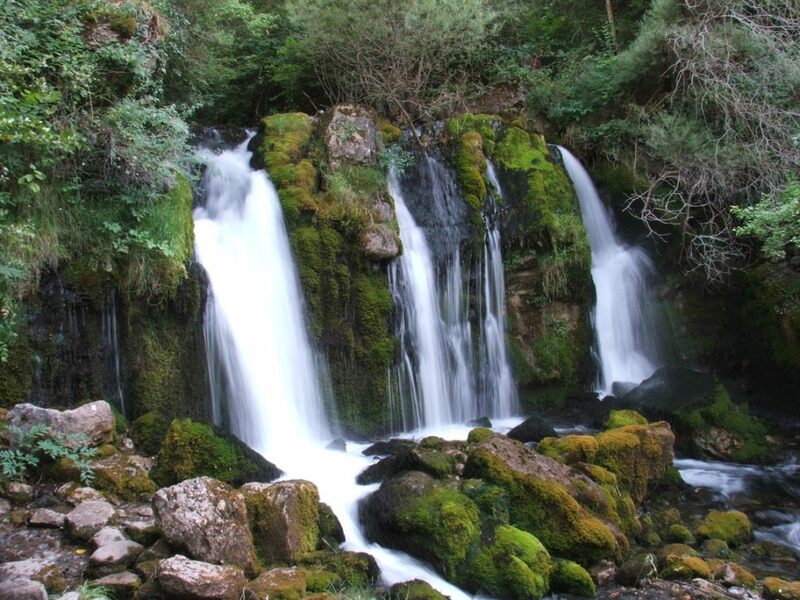 We have for you selected some of the waterfalls that dot the landscape of Catalonia. Most of them are located in remote places and we can only access them after walking pleasant paths that cross forests or fields. These paths are going through the nature and increase the desire to take a dip. 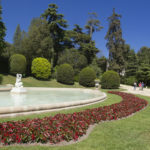 In these routes you will find, both at the end and throughout the journey, ideal locations to locate your audiovisual productions or photo shootings. 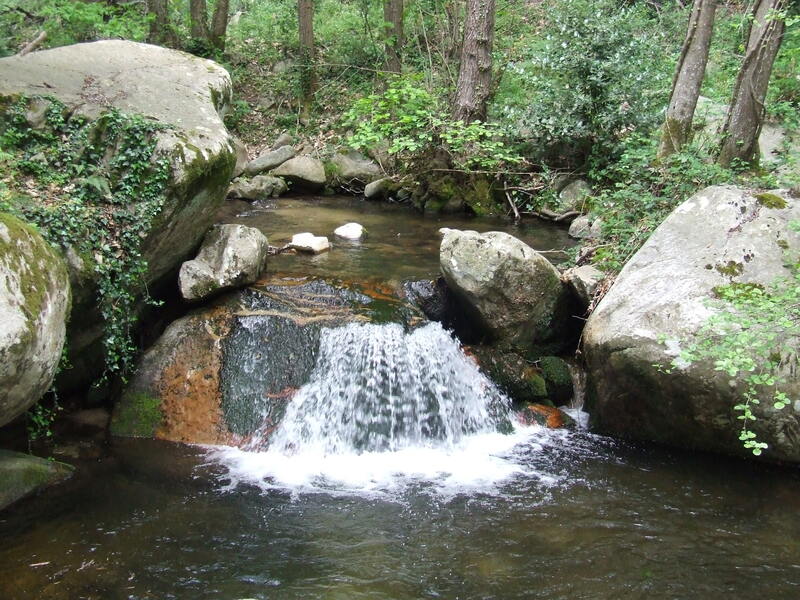 You can reach them through a short and easy walk that from Castellar de n’Hug leads us through a well-marked path, in good condition, until the birth of one of the most important rivers in Catalonia, the Llobregat. It is an inevitable place if you are looking for nature and an emblematic place in the region for your audiovisual project. The path that leads to the sources is full of stairs and cobbled, but it brings us in about 20 min. to the place where the water gushes from within the mountain itself, forming a beautiful waterfall. The fountains are the most spectacular in periods of heavy rain. 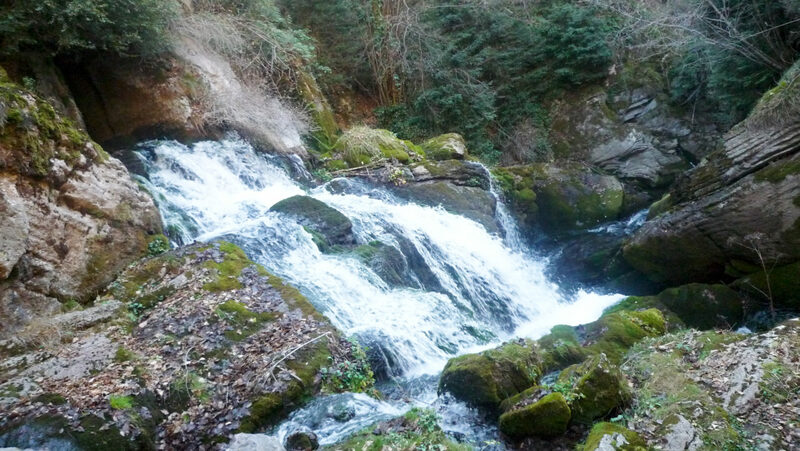 This circular route of about 6.5 km brings us to the source of the Gurn River, the main tributary of the Fluvià River, and the spectacular Salto de Sallent waterfall, in the Vall d’en Bas, in the Garrotxa region. The route is made through a shady and leafy beech forest, with spectacular locations during the journey to locate a part of your audiovisual production or photographic shooting, until you reach the Mirador del Salto, where the Sallent stream drops vertiginously over a cliff of more than 80 meters of height. 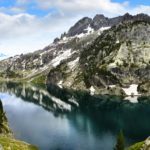 It is an easily accessible route, without large slopes or any difficulty, and perfectly enabled and signposted. The total distance to cover this circular route is just over 9 kilometers. Here you will find up to 7 different pools to locate your audiovisual project. It is worthwhile to fully enjoy the surroundings, the incredible scenery and each of the stops and waterfalls, from the Gorg de la Cabana to the Gorg del Colomer. La Roca Foradada is one of those little postcard-like corners where everything seems set to impress. 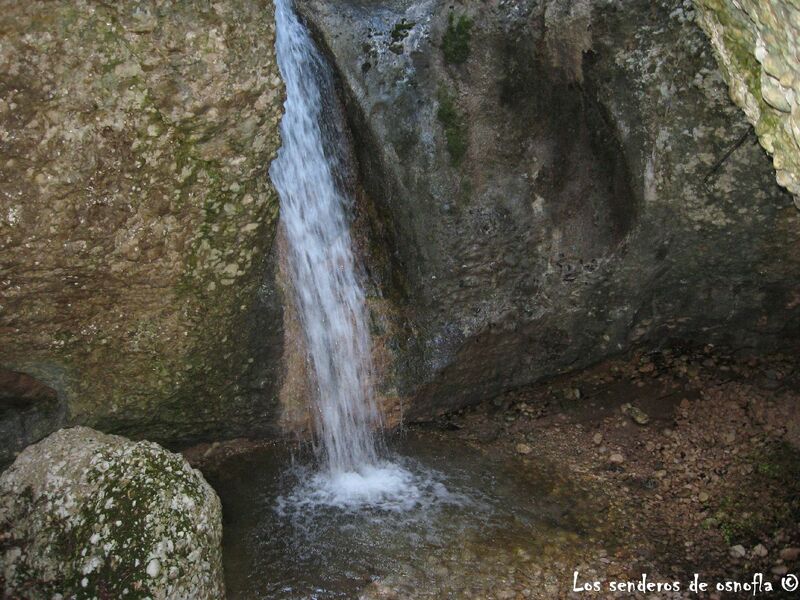 This delicate waterfall is found in the middle of an amphitheater with high walls, next to a large pool, which in summer invites you to take a bath. In winter the sun’s rays sneak through the area and if the day is very cold, the water of its fall is freezing cold. Now you only have to choose which is the best time of the year to locate photographic shooting or audiovisual production here. The falls of the Adou, within the municipality of Gisclareny and located at a height of 1,077 meters, are the source of the Bastareny River, which crosses the town of Bagà. Following the mountain trail you will find many good places to locate your audiovisual project till you reach the spring, a virgin place in which the hand of man has not intervened. It is the name of an impressive route of only 3 kilometers that allows you to enjoy waterfalls, industrial heritage and nature, located in Alcover. Here the river Glorieta was for centuries the engine of different mills that were in this area. Locations also from other eras for your audiovisual production or photographic shooting. 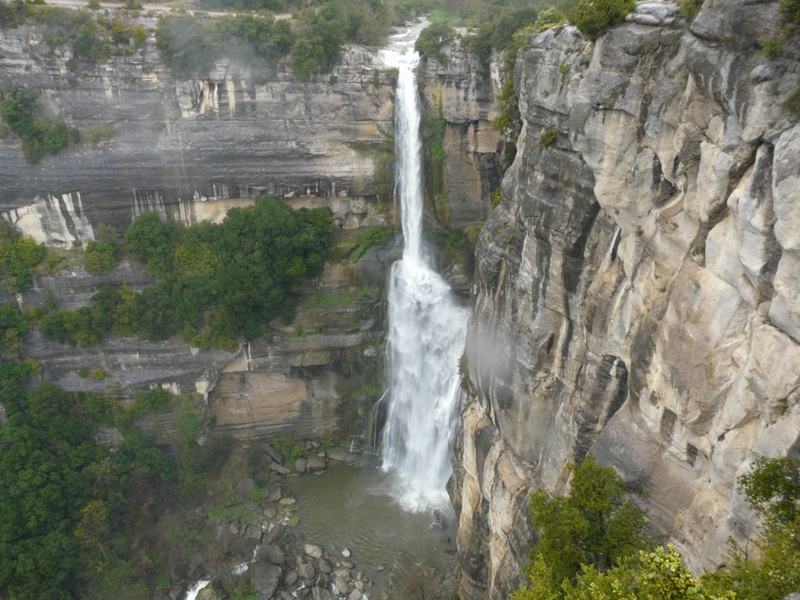 It has an impressive wooded area and the viewpoint over the waterfalls offers you stunning panoramic views. 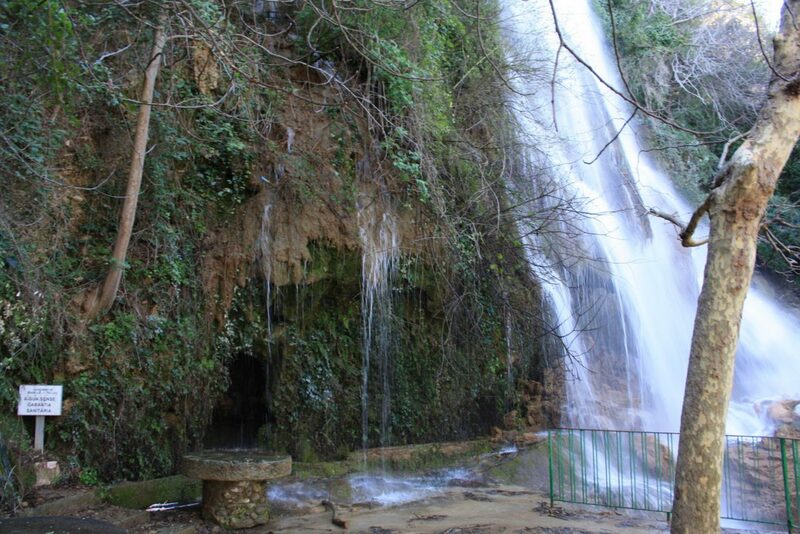 The jump of La Caula is one of the most charming places in the region, a waterfall of 30 meters with a small rainbow, natural caves and a surrounding grove, ideal for any audiovisual project. 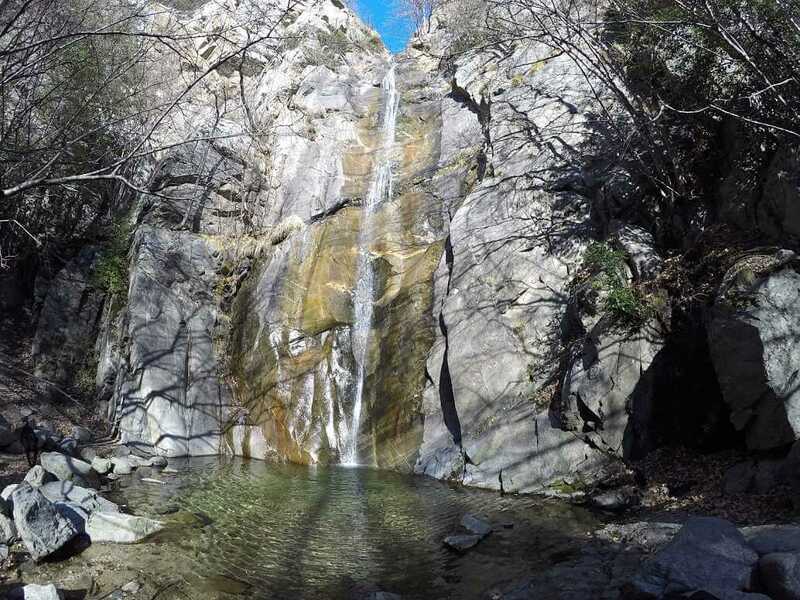 The cliffs near the waterfall and the whole area, very close to La Muga, are flanked by numerous riverside trees, fountains and numerous corners to walk and enjoy nature. At the foot of the jump is a pool where people can bathe in summer. Around the Santa Fe reservoir we find small waterfalls. The site is beautiful, surrounded by a large forest, and although the waterfalls are not excessively large, they are quite interesting. They offer you a multitude of options for your audiovisual production or photographic shooting. This circular itinerary starts at the Farga de Queralbs hostel. The first part of the route runs along the track that leads to the Daió hydroelectric plant. Once in this station, follow the path of Coma de Vaca that goes up to the Pozas del Freser, passing through the spectacular Salto del Grill, up to the Puente de la Riba. A waterfall, about 30 meters high, ideal for your audiovisual project. 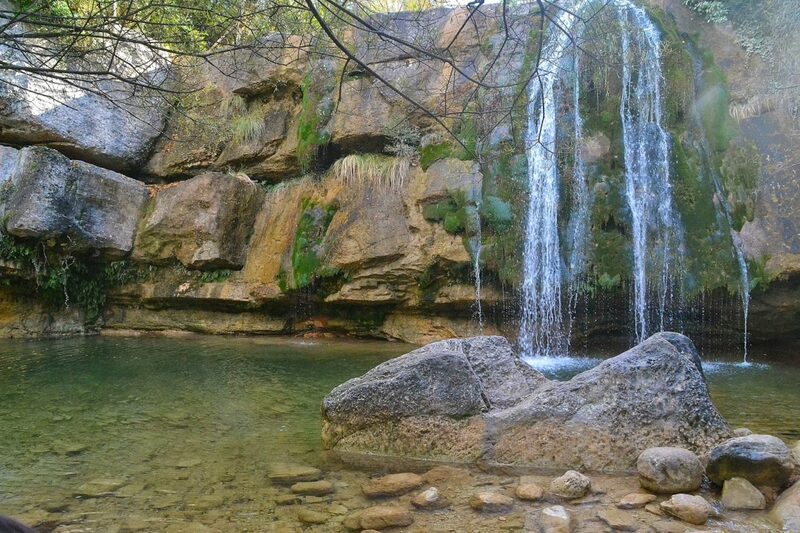 The Cadolla dels Forats (840 m) is a small waterfall located in the Serra Major of the Montsant Natural Park (Tarragona). 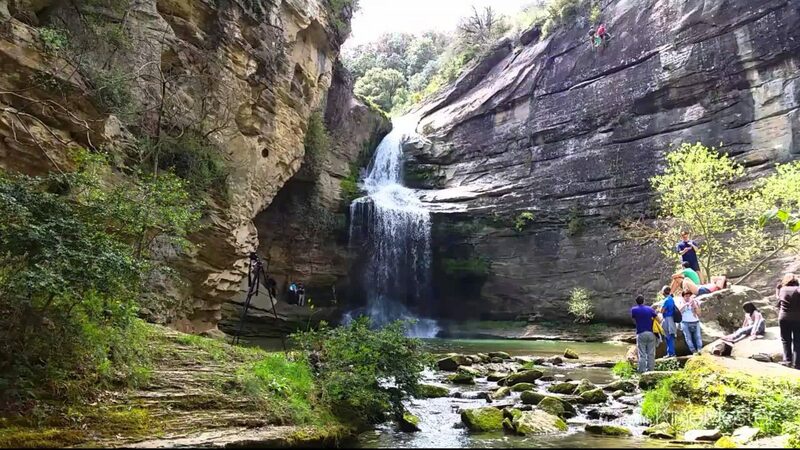 In this area you will find deep gorges and waterfalls of great beauty and spectacularity, so it is up to you to choose the perfect location for your audiovisual production or photographic shooting.